We Buy Houses in Orlando, FL Fast for Cash Without Hassle! NEED TO SELL YOUR HOME IN ORLANDO, FL? It doesn’t take months to close. Since we have cash available, we can close in 7 days or on whatever time-frame you need. You don’t have to do a thing to get the property ready for us. We’ll take it exactly how it is. There are no third parties to contend with. We’ll come up with a fair estimate on your home, and funds will be wired directly into your bank account at the close of escrow. If you’re interested in selling your home quickly, we have the perfect process for you. In three quick steps, you’re on your way to getting a check and having your unwanted property handled. We’ve put together a simple contact form that requests a few details. Fill it out and submit it. A member of our expert team will contact you. Within 24 hours, you’ll receive our cash offer on your home. Look it over and get back to us as soon as it's convenient for you to do so. The very second you accept our offer is the very second your house is sold. We’ll close the sale whenever you want and you walk away with cash. Orlando’s variety of lifestyles and living arrangements create a somewhat chaotic market foreground. While the median home value and the median sale price tend to line up, properties still sell at a price cut. In fact, 22% of houses in Orlando will sell for less than the listing price. That’s why so many sellers list much higher – they want to take their cuts out of the excess, rather than the value of the house. Some sellers don’t have the luxury of being able to do that. 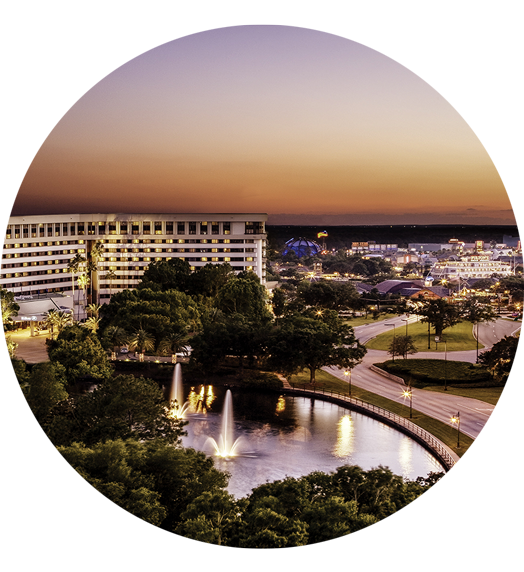 Orlando is above the United States average in both negative equity and mortgage delinquency. More than 11% of homeowners are upside down with equity, and almost 2% of homeowners are facing imminent foreclosure. These people are looking to sell quickly, and they need a specific amount of money to remedy their problem. They’re between a rock and a hard place, and they need a reliable buyer to help them out of a jam. The average home value in Orlando is about $230,000, but averages can be misleading. Orlando is a major metropolitan area, and with so many different neighborhoods, properties at different price points are scattered all over. Homes in Lake Nona Central average closer to $370,000. Houses in Lake Frendrica average below $70,000. All these variables make it difficult to accurately estimate what a typical home would be worth. It’s all on a neighborhood basis. The average listing price for a home in Orlando is above $280,000. This average is skewed by the fact that the homes that sell the most are the ideal properties in ideal neighborhoods. Homes in areas with lower property values tend to sit on the market for longer and wind up selling for relatively little. Trouble Finding a Buyer in Orlando? A lot of sellers in Orlando have trouble finding buyers. In particular, they’re looking for the right buyer at the right time. We’re almost always that buyer. We purchase all kinds of properties under all kinds of unique circumstances. We’re experienced dealing with a host of common issues many sellers in Orlando face. Inheriting a house is inheriting a responsibility. A lot of people who inherit properties don’t have the time or the money to keep up with them. Short of moving into them or becoming a landlord, the options are limited. We’re willing to purchase inherited properties quickly. You won’t have to pay to maintain a property you don’t want to hold onto. Financial emergencies, legal procedures, health issues, job relocation, and family matters put people in high pressure situations. Sometimes, homes need to be solved to resolve some of that pressure. We’re happy to purchase the home with cash and close quickly. You’ll have the money in as little as a week, and you can tend to the things that matter most. Landlords have tiring, stressful jobs. Many of them want to sell troublesome properties and be done with it. Florida landlords have one of the easiest exit strategies. Tenants can easily be evicted with or without substantial cause in the state of Florida. Just follow the legal eviction process and contact us when the tenants are gone. We’ll buy the property, even if they left a mess behind. Properties that need a lot of repairs are a hard sell. Not many people are in the market for a time consuming fixer upper. If you can’t find a buyer with time and money who easily sees potential, things get harder. You might feel pressured to pay for the cost of repairs yourself. There’s no need to do that. We don’t care if the house is in a bad state of repair. We know how to fix it, and we’ll foot the bill ourselves. Investors are in a unique position to keep things easy. We don’t face a lot of the same obstacles and procedural issues that many normal buyers face. Our process allows us to skip a lot of the hard stuff. We can focus on dealing directly with you and handing you cash in much less time. Don’t repair the house. Don’t call an agent. Don’t try to list it yourself. All you need to do is contact us. We’ll handle everything else that needs to be done. If you want to close in a week, we’re ready and waiting. If you need more time to find a new place, just keep us on standby. We’re here for you. Other methods of selling a home typically involve a lengthy closing process with a bunch of fees. All the costs will come out of our end. The more people there are involved in the sale of a home, the more paperwork there is to deal with. Our paperwork is simple & straight forward. Many sellers who want a quick sale for cash are doing so because they want to avoid hassle. We’re here to guide you through the process and answer all your questions. We have cash, and we’re looking to purchase Orlando homes quickly and safely. When you work with us all stress & worry goes out the window. What would tomorrow look like knowing your home is sold? No stress. No hassle. Just Freedom. "I sold my house to Doug in San Jacinto. He sent me a card in the mail and he did exactly what he said he would do. It really was a painless transaction, all I had to do was sign papers and pickup the check. I would recommend this company to anyone! It was done in 2 weeks and sold As-Is."